Empowering Through Quality Technical Education. Committed to serve the needs of the society at large by imparting state-of-the-art Engineering education and to provide Knowledge and develop Attitudes, Skills and Values leading to establishment of quality conscious and sustainable research oriented Educational Institute. The institute aims to pursue global standards of excellence in teaching, research and consultancy. We are accountable for our core functions to our stakeholders through critical self evaluation and continuous improvement. To provide quality technical education through outcome based teaching learning process. To motivate faculty for higher education & skill up gradation for achieving world class excellence. To facilitate the all round personality development of students through extracurricular and social activities. To provide assistance for campus placement and entrepreneurship development and promote initiatives for Digital India. To enhance industry institute interaction through testing and consultancy services. 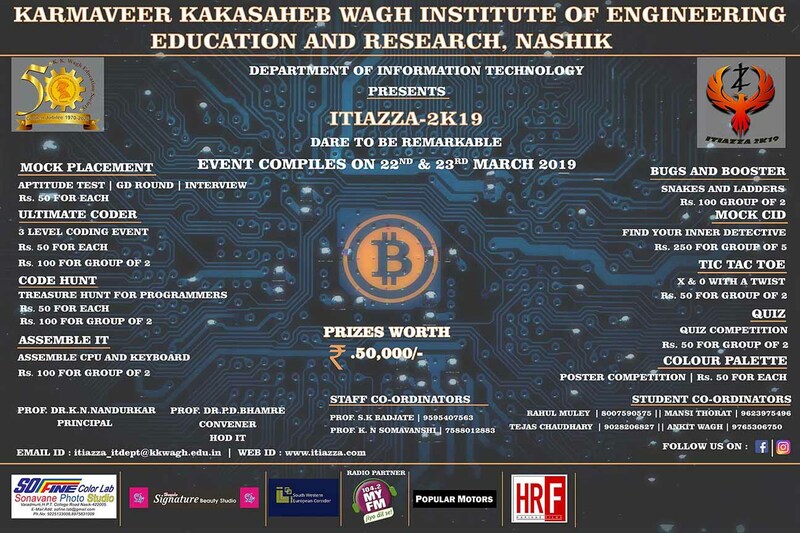 To promote research and development activities among faculty and students to develop new technologies and facilitate technology transfer. To strengthen the institute through network of alumni. The institute was established in the year 1984 at Bhausahebnagar (Tal. Niphad, Dist. Nashik) and shifted to Nashik City in September 1986. A land of 8.2 hectares was generously donated by Shri. Kakusheth Udesi of Hirabai Haridas Chariteble Trust, Mumbai. The Society started building infrastructure at this campus (known as Hirabai Haridas Vidya Nagari) in the year 1987. As on date it is fully developed and provides accommodation for College building, office, classrooms, drawing halls, laboratories, workshops etc. Building with built up area of 32,199 Sq.m. is one of the largest buildings in the City. All laboratories, classrooms etc are designed as per the needs of the students. The institution has a good collection of reference books and textbooks, periodicals and journals. 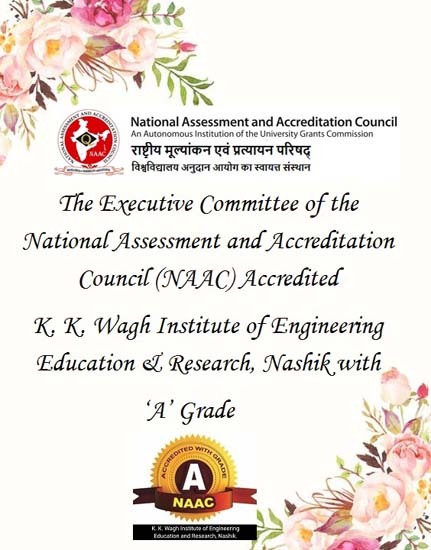 KKWagh Institude of Engineering Education & Research, Nashik has been awarded by "A" grade by NAAC.